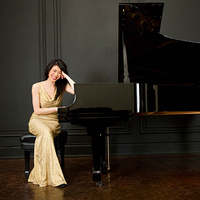 One of the pianists hand-picked by Philip Glass to participate in his international tours of his piano etudes, Jenny Lin demonstrates the many sides of her dazzling musicianship. Her recital will consist of etudes by composers from Liszt to Glass, and virtuoso arrangements of show tunes by pianist/performers from Earl Wild to Stephen Hough. Tickets for the community are $5-$18 and seating is open. Doors to the hall will open at 7:00 pm. Wake Forest University and Medical School faculty, staff and retirees receive free admission for themselves and one guest to each Secrest Artists Series performance. WFU Students receive free admission for themselves. Simply show your WFU I.D. at the door. We encourage those with a WFU I.D. to pre-register so we can keep track of available seats for the community at large.